Today Amazon gives a great opportunity to add in your collection and read a wonderful book: What It Takes: The Way to the White House. The book was written by Pulitzer Prize–winning journalist Richard Ben Cramer who cracked open the heart of the American political system in this classic exploration of the 1988 presidential campaign. Cramer delves into the personal, intimate lives of the key candidates, including George H. W. Bush, Bob Dole, Joe Biden, and Michael Dukakis, as he seeks to understand the drives, passions, egos, and failings that transform an individual into a president. Exhaustively researched from thousands of hours of interviews, What It Takes creates powerful portraits of the men who would be president, and how the campaign for the highest office transforms them. This is a very good book that delves into the type of personalities that “have what it takes” to climb to the top ranks of presidential contenders. Focusing on the Democrat and GOP hopefuls in 1988, Cramer paints a devastating portrait of the personalities of the ten or so aspirants. Along the way, he provides a good snapshot of modern presidential politics. What is revealed are hard driven men, who are willing to sacrifice all other concerns to their political ambitions. Although Bush, Gore, Dukakis, Hart, Biden, Dole and the others have very different life stories and personalities, they are very similar in their focus, drive and ego. This book provides biographical sketches of each as well as an insiders view of their 1988 campaigns. Knowing Delaware’s Biden a little, I would say that he captures at least that character fairly accurately. The only complaint with this book is that Cramer takes great liberties with his characters in telling their stories. He can not know what they were thinking exactly during all the vignettes he paints, yet he writes as if he were the central character and he had intimate knowledge of conversations, feelings and dialogue. Cramer also draws many conclusions from the life portraits of his characters. This style is not unenjoyable, but one should be forwarned that the author writes in the “gonzo” journalism style that sounds more authoritative than it could possibly be. This is the type of writing that makes these types of books difficult to rely on as historical sources, but can present an interesting story. Math Training for Kids is application for Kindle Fire which help to encourage your kids to math. Do you want to make sure math isn’t your kid’s “worst subject”? Make math fun for your child with Math Training for Kids. This app is a great way for your kids to practice their basic arithmetic and have a good time. 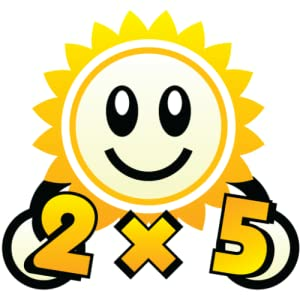 Choose from three difficulty levels, and the four signs of math: addition, subtraction, multiplication, and division. The player can mix and match any combination of math signs they wish to play. For example, the game can focus on only addition and subtraction, or focus on all four signs. For each question, you’re presented with five flower pots. Every time you answer a question correctly, a pretty sunflower comes to life. If you miss a question, you lose a flower. When you bring five sunflowers to life through the power of math, you’re rewarded with a round of applause and a shimmering shooting star. Lose five flowers, and it’s game over. The player has a limited amount of time to answer each question. The higher the difficulty level, the more answers you have to choose from. Math Training for Kids comes with a statistics screen so you keep track of your child’s progress. You have the option of turning the sound effects and music off and on, as well as setting the questions’ number range from 1 to 100. 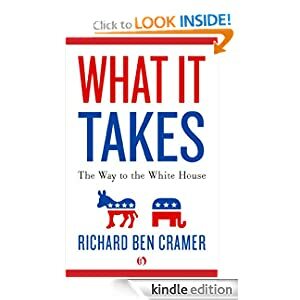 This entry was posted in Kindle Applications, Kindle Apps, Kindle Books, Kindle Daily Deal and tagged Math Training for Kids, Richard Ben Cramer, What It Takes: The Way to the White House by Paul. Bookmark the permalink.